Who Is Gus Hansen? | Gus Hansen Bio - Casino Answers! Gus Hansen is one of the big names in poker today. 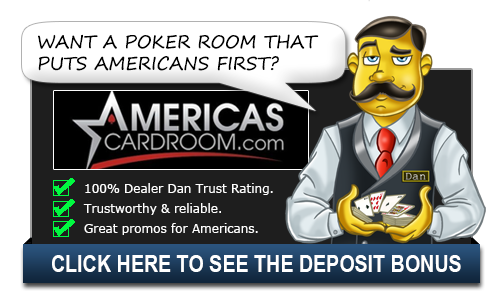 Known as ” The Great Dane” on the poker circuit, he originates from Copenhagen in Denmark. However, he has made an impact in poker tournaments all over the world in addition to having made a name for himself as not just a professional poker player but as a professional gambler. Gus Hansen began playing poker in 1993 when he was an exchange student at the University of California in Santa Cruz but he originally wanted to enter into a career as a backgammon player. Although he was considered to be a world class player in this field, he did not find it as competitive as he would like and so chose to participate in poker tournaments instead. Highly competitive by nature, it was inevitable that Gus Hansen would be successful in whatever field he chose to enter but it was lucky for poker fans that he chose the way he did. Hansen has achieved a good measure of success since entering the poker tour. For example, he is the only poker player ever to have won the World Poker Tour three times. He also won the 2007 Aussie Millions Main Event and plays regularly on Full Tilt Poker. Gus Hansen is also incredibly successful in relation to his various business ventures as well. He has used his talent to make a name for himself as a poker star and professional gambler, placing bets on any number of different events. Gus Hansen made his first appearance at the World Series of Poker tournament in 1996, but he was eliminated on day one. From 2002 on, he won four World Poker Tour titles, including two $10,000 No-Limit Hold’em events—the Five Diamonds World Poker Classic and the LA Poker Classic. Because he is the only player to win three WPT open tournament events, Hansen was inducted into the WPT Walk of Fame. In 2003, he launched an online poker site (pokerchamps.com) together with a partner, which they later sold to Betfair for $15 million. Hansen won Pokerstars Superstars Invitational Tournament winning $1,000.000 and he won $51,500,000 in 2007 when he took first place in the Aussie Millions in Melbourne. In 2008, Gus Hansen had almost $2 million in tournament wins including a second place finish at the Five-Star World Poker Classic (WPT Championship) for $1,714,800. In 2009 his tournament success has come from a 9th place finish at the 40th Annual World Series of Poker $50,000 buy-in for a pay-out of $123,895 and a runner-up position at the Late Night Poker Finals for $100,000. Currently Gus is regularly competing in the TV Professional Poker Tour and High Stakes Poker Season 2. He is the top-winner in High Stakes Poker history, winning $575,700. Gus has finished in the money five times at the World Series of Poker, but has yet to win a bracelet. His total live tournaments winnings exceed $7,200,000. He’s one of the most respected players in the game for his mind.